Our volunteer anglers have been very busy, helping catch and sample fish during our spring hook and line surveys. So far we’ve completed 5 days of surveys at Cascade Head and 2 days at Cape Perpetua. 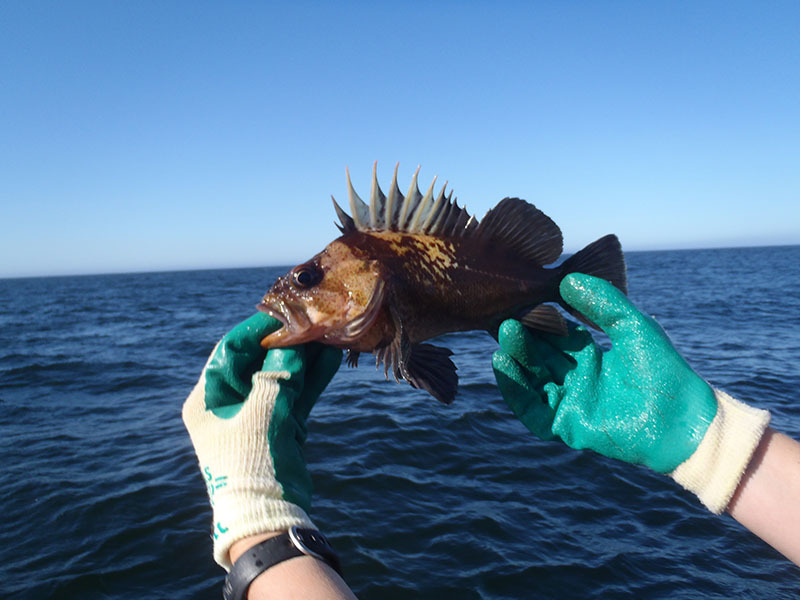 We caught nine Quillback Rockfish in our hook and line surveys at Cape Perpetua this week, the largest being 46 cm. These fish have pronounced, sharp dorsal spines that look like quills and are mildly venomous. Underwater visibility cooperated just enough for us to get 4 days of SCUBA surveys and video lander surveys in at Cascade Head in the last few weeks. This week ODFW Marine Reserves Program staff are out in the field during low tides surveying sea stars. 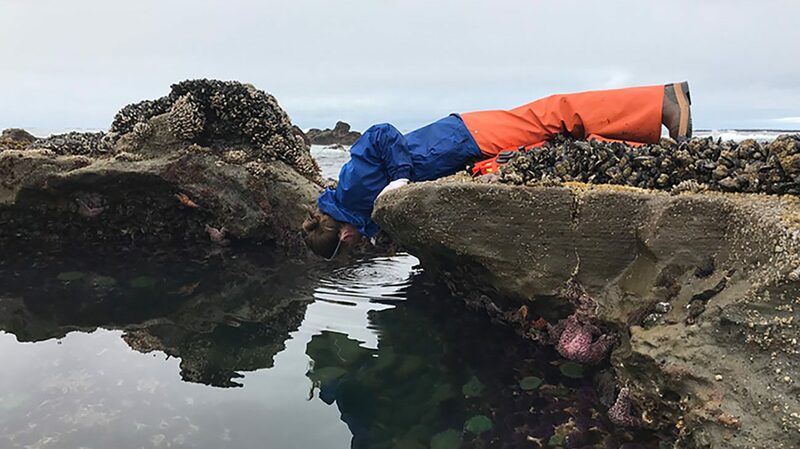 We’re monitoring sea stars in the rocky intertidal zones at both Cascade Head and Otter Rock. The SMURFs are out for the season, at both Otter Rock and Redfish Rocks. We’ll be collecting juvenile fish and crabs out of the SMURFs every two weeks until the end of the summer.